Discussion in 'New Member Welcome Area' started by idahoelkhunter, Apr 1, 2018. New to the forum - saw a thread on getting sling mounts for my new BLR TD and decided to join. Hopefully will figure out how best to add to this great rifle - if anyone has experience in adding sling mounts would greatly appreciate any tips. Just got my scope mounted (Leupold VX-R 3-9 x40) - looking forward to getting sighted in and ready for a hunt this fall! 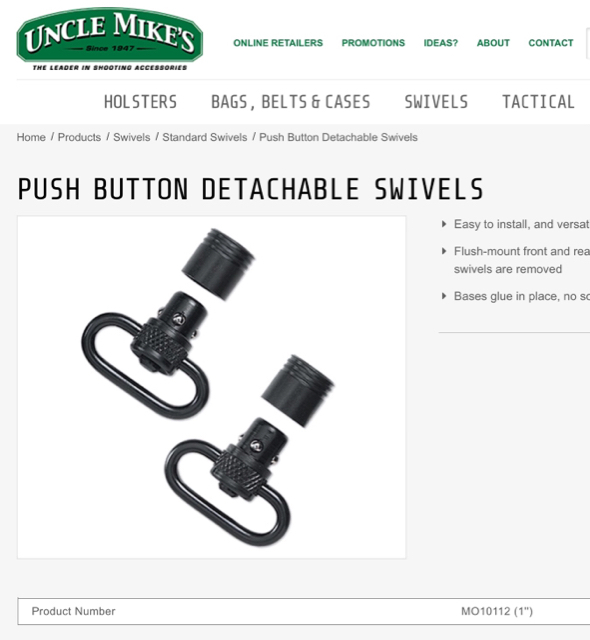 Check out the Uncle Mikes push button quick detachable swivels. The beauty of those is that when you detach the sling there are no posts or mounting hardware protruding from the base of the rifle.